Local blood centers are asking Bay Area residents for help because 2018's unusually bad flu season has reduced donations. Since the start of 2018, the intense cold and flu season has caused blood donations to drop 13 percent below originally expected levels, according to San Francisco-based Blood Centers of the Pacific. The organization is in especial need of O-negative blood, which is down to a one-day supply, medical officials said. This blood type is especially important because it is the universal blood type and can be transfused to any patient. The blood centers are asking anyone who is healthy and able to donate to make an appointment at bloodheroes.com or by calling 888-393-GIVE. All blood types are requested, with special emphasis on O-negative. Volunteer blood donors must be at least 16 years old, weigh a minimum of 110 pounds and be in good health. Additional height and weight requirements apply to donors 22 years of age and younger, and 16- and 17-year-olds must have signed permission. 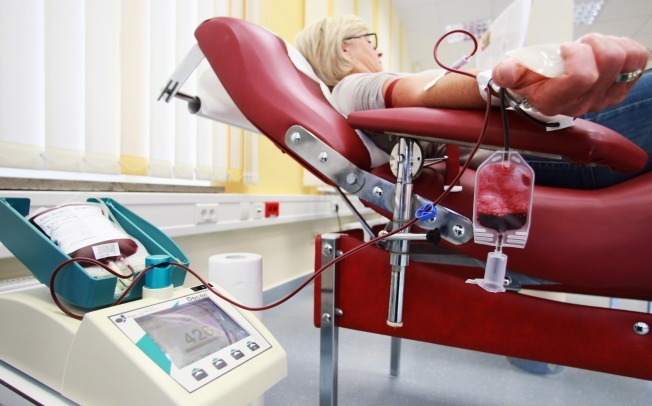 Blood Centers of the Pacific serves patients in 45 hospitals throughout the Bay Area and has been a nonprofit community blood provider since 1941.